What Is a Helical Anchor? A helical anchor is a steel shaft with a ramped spiral plate or plates welded at the bottom. 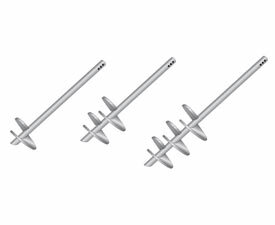 Helical anchors come in different lengths, thicknesses, and plate configurations, depending on the load they are designed to carry. 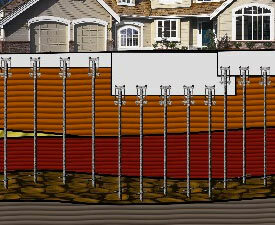 How Do Helical Anchors Work? Helical anchors work in much the same way as wood screws. Instead of wood, the load-bearing or gripping material is soil. The helical plates on the helical anchor act like the threads on a screw. When helical anchors are turned, they thread themselves into the soil. Almost all helical anchor installations are done with hydraulic rotary motors, which come in many sizes. They can be small enough to be handheld and large enough to require mounting to large-track equipment. The shaft of the helical is placed in the motor and turned. 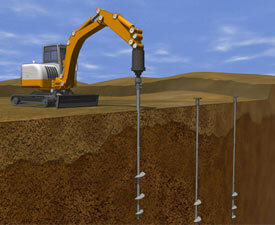 Because the helical plates attached to the anchor shaft are pitched, the anchors thread themselves into the soil. Depending on the installation depth, extensions may be necessary. 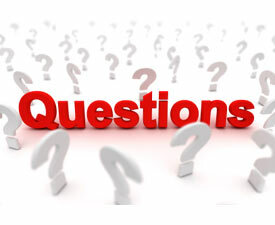 At What Depth Do Helical Anchors Work Best? When considering using helical anchors on your project, you must consider a number of factors, such as soil type and loads, that engineers use to determine helical anchor size and depth. 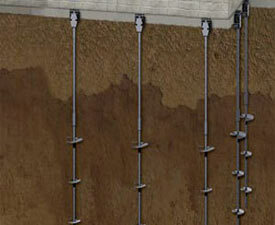 For this reason, site-specific engineering is necessary to obtain anchor size and depth recommendations. Will Helicals Be a Good Fit For My Project? 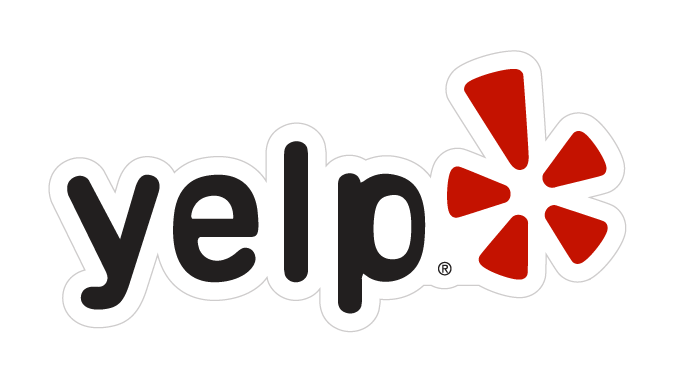 Here are some of applications where helical piers work well.